A HANDY LITTLE SPATULA. Uh, oh...have you been caught with your finger in that delicious cake batter again? 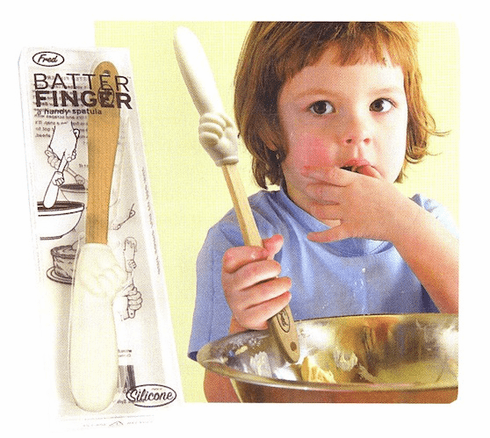 Next time, don't gross everyone out - use your BATTER FINGER instead! It's a handy silicone spatula that stirs, blends, scrapes, and frosts with ease.